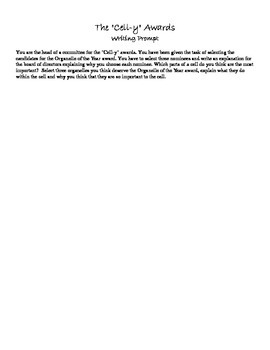 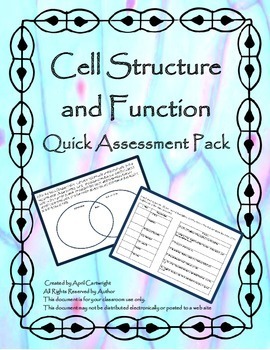 This package includes six quick activities to assess student understanding of cell structure and function, a unit project menu, and a unit objectives check list. 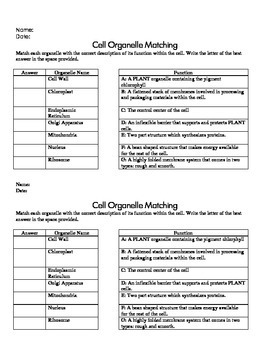 The activities include graphic organizers, cell types sorting, matching, and creative writing. 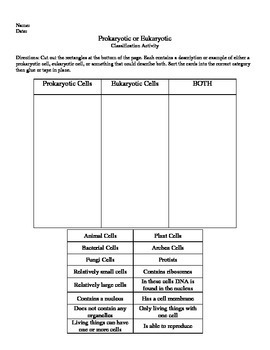 These activities were designed to be used in a general level high school biology class and are also suitable for middle school level.